After the convincing victory in the parliamentary elections in October 2015, the government of the Polish Law and Justice party started down the same path that Hungary was on under the leadership of Prime Minister Viktor Orbán, whose party Fidesz had won a huge victory that secured constitutional majority for it. The former fighter against Soviet authoritarianism Orbán lost no time and despite the beginning of Hungary's first rotational presidency of the Council of the EU, he began radical reform, trimming media and central bank independence. 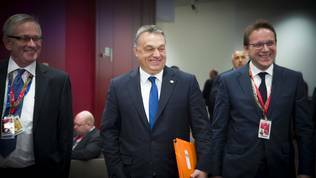 His then still mild authoritarianism turned into a central subject for the Hungarian presidency. The subject remained on the agenda of the EU after that too, serving as an inspiration for the creation of a common European rule of law mechanism, borrowed from the mechanism, under which Bulgaria and Romania joined the EU on January 1st 2007 without having fulfilled all the requirements. Despite multiple threats, infringement procedures, debates and hearings in parliament, the Hungarian PM came out clean from the situation and even won some followers in the EU, despite officially announcing a course towards an illiberal regime, following the lead of Russia, Turkey and China. One of the main reasons for Orbán coming out clean is that his party Fidesz is a member of the largest political group in the European Parliament – the European People’s Party, which for a third consecutive term has majority in the EP and holds the presidential post in the European Commission. 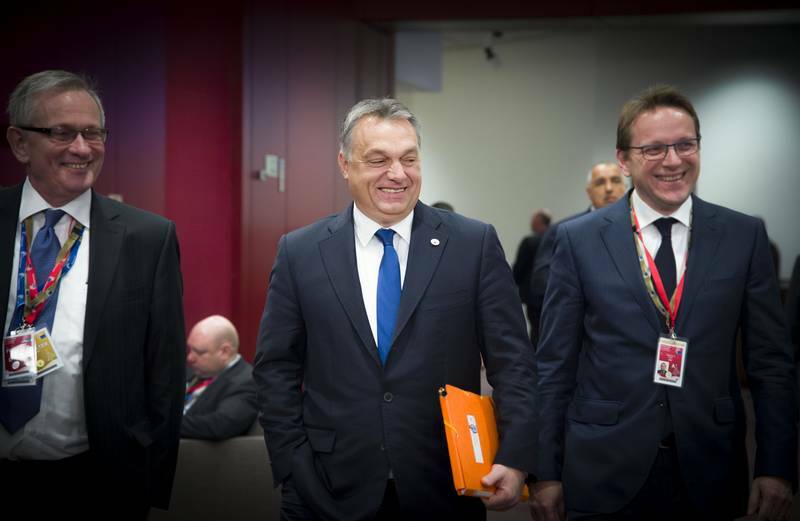 Apart from Orbán coming out dry, member states significantly trimmed the EC’s proposal for a common European mechanism for the protection of the rule of law, as euinside repeatedly reported. The mechanism is now reduced to a framework for rule of law, which provides for three steps from the EC: assessment, recommendation, and follow-up to the recommendation. The strongest part of the EC’s proposal, namely the triggering of Article 7 of the Treaty for the EU, which stipulates suspension of a state’s rights, was cut out by the Council, which demoted the mechanism to having annual dialogues in the General Affairs Council. Just like Hungary, Poland also shocked the EU by starting radical changes from the media in the beginning of January. Changes got voted on in a hurry concerning trimming the powers of the Constitutional Court. Differing from the Hungarian example, the Polish ruling party led by Jarosław Kaczyński is not a member of the EPP, but of the third largest political group in the European Parliament – European Conservatives and Reformists (ECR), dominated by PM David Cameron's Conservatives. At the moment they are fully engaged with the British issue and react “eurosceptically” to everything coming out of the hated Brussels. Although they are the third in size group in the EP, ECR are weakly represented in the Council. Their parties rule in Great Britain, Poland, and participate in the governing of Finland. This means they would have a hard time protecting themselves in a case of mass criticism against the Polish government. According to the parliamentary group, any country which makes changes in the media or their judiciary has to answer some questions from the Commission and there is nothing unusual in that. 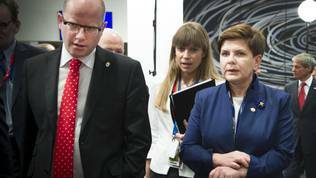 The ECR finds it fully acceptable to have a dialogue between the Polish government and the EC. 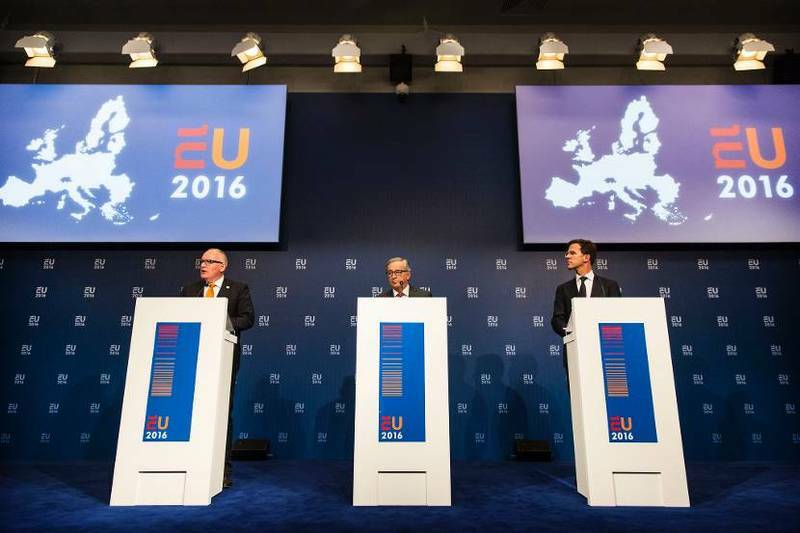 The group, however, is opposed to having debates in the European Parliament. The boss of the EC Jean-Claude Juncker (Luxembourg, EPP) proves once more, in this extremely important issue, that his Commission is political. During the official presentation of the Dutch presidency of the Council in Amsterdam he urged not to over-dramatise this issue. 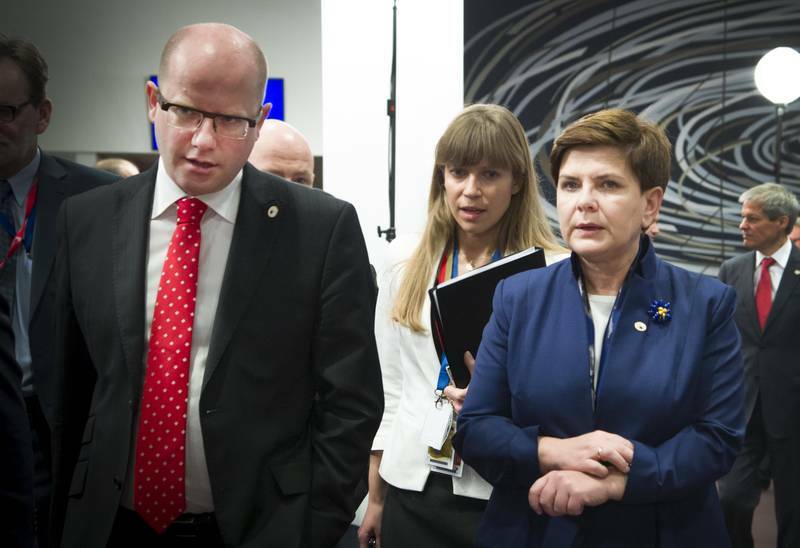 He stressed that Poland is an important and full member of the EU and expressed doubts that it will come to the “nuclear bomb” of Article 7 of the EU treaty. “It's an important issue, but we have to have friendly and good relations with Poland”, he said. Prime Minister Mark Rutte, whose country is blocking the membership of Bulgaria and Romania in Schengen, namely due to the non-functioning rule of law, was cautious in stating that he wants to give a fair chance to the procedure for protecting the rule of law, “because this is one of the first instances where we use this process”, he said. The First Vice-President of the European Commission, responsible namely for the rule of law, Frans Timmermans (The Netherlands, Socialists and Democrats) sent two letters to the Polish government, requesting clarifications on the media laws and the changes in the Constitutional Court, but there are no replies yet. The subject will be discussed at the EC meeting next week, but this will be just an “orientation debate”, as was explained from Berlaymont. The situation in Poland will be subject to debate in the European Parliament as well during its first plenary session for the year on 18-21 January. 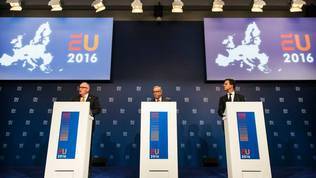 The debate will be right after the discussion of the results of the December summit of the EU and will feature the EC and the presidency. Media laws got sharp criticism from the Organisation for Security and Co-operation in Europe at the end of last year. The Organisation’s representative for media freedom Dunja Mijatović expressed “deep concern” from the legislation, giving the government direct control over the leading positions of the country's public media. Before the introduction of the law the heads of the state television and radio got appointed by the National Broadcast Council. The Polish government sent their proposals for changes in the Constitutional Court to the Venice Commission for assessment. The Poland issue places the EU in an extremely awkward position, which most likely will show that the mechanism is totally useless. What is more – the fact that it was never applied to Hungary, despite the demands of the group of Liberals in the European Parliament, could seriously undermine the efforts that at least Poland is steered back towards the European notion of rule of law. The framework for protecting the rule of law expressly insists on equal treatment of member states. This gives grounds to the EC not to punish Poland, for Hungary got a different treatment. Bulgaria also seems completely untouchable, despite having its own mechanism for monitoring rule of law. The state is ruled by a government, in which the parties that are members of the EPP have the majority. The question this year will be whether the considerably trimmed mechanism for rule of law, created because of Hungary, will be fortified because of Poland and the next soft dictators, masked as eurosceptics, who surely wait their turn to take over power somewhere in the EU.